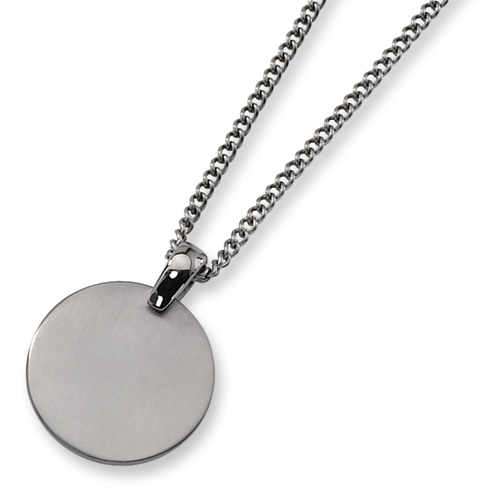 Titanium brushed round necklace. This item includes a free 22-inch stainless steel chain. Fancy lobster clasp.